Sailing to the startup world with Pirate Summit, 6-7 of September in Cologne. to organize a conference we ourselves would love to attend. 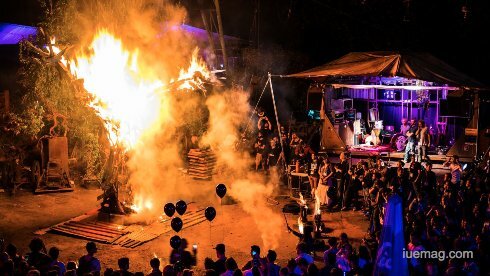 Since 2010, Pirate Summit is known as Europe’s craziest startup conference, bringing together the movers and shakers of the digital and tech world. Over one thousand founders and co-founder, pirates, investors, buccaneers, corporates, sailors, and corsairs plunder the innovation and tech sea in Cologne (Germany) to share their stories from over 70 nations around the world. This makes Pirate Summit Europe’s largest invitation-only conference for early-stage tech startups. During two days, the PIRATES gather and celebrate the true grassroots entrepreneurship. First, all participants are handpicked from thousands of applications or personally invited to create an environment of quality networking on the highest possible level. Second, focused on early stage startups and the entrepreneurial voyage, the beating heart of Pirate Summit is the pitch competition, where 80 startups will walk the plank and explain their business models to high profile investors. The price? An all-paid trip to Silicon Valley and London to meet top VCs and investors. Third, an incredible location becomes the hub for all pirates to meet in Odonien, a scrap yard turned an outdoor art gallery. It is the perfect pirate location and offers enough space for robots, fire, innovation, networking, and fun. And fourth, after a day full of inspiration, motivation, and networking, it’s time for the biggest party; based on an old Cologne Carnival tradition called “Nubbelverbrennung”, a giant wooden statue is lit on fire on the first night to start an infamous party. Ultimately, what makes Pirate Summit so special is the possibility to meet and connect with entrepreneurs, investors, and corporate executives in an extraordinary environment, encouraging like-minded people to create meaningful connection with potential business partner, investors and friends, which ultimately fosters and nurtures the startup ecosystems. From telling compelling stories to sharing sailing maps and sky observations, this year our PIRATES will go on a wild journey across artificial intelligence, virtual and augmented reality, fintech, insurtech, robotics, startup growth, worldwide startup ecosystems, and also share their individual stories. High-quality networking, exceptional talks, and selected attendees will meet in Odonien this 6th and 7th of September in Cologne. The iUeMagazine team is delighted to work with Pirate Summit 2017 as Online Media Partners & is expected to bring Unlimited Inspiration for all readers from the proceedings of this event. Staying tuned to the enriching updates from this event is recommended. Fancy to join? 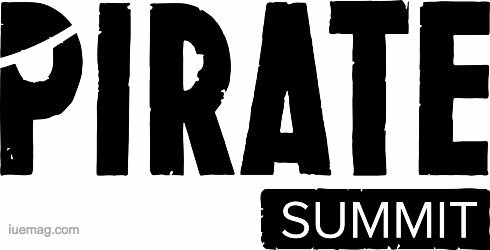 Visit www.piratesummit.com and apply now to raid the seven seas.